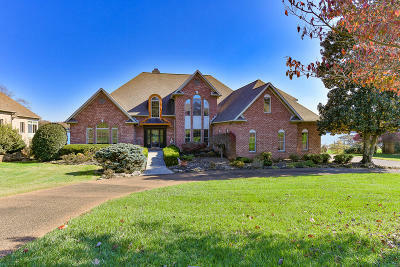 TELLICO LAKE FRONT HOME ON MAIN CHANNEL! Enjoy panoramic lake views from your 5 Bedroom, 4.5+ Bath 2-story Basement Brick Home. Quality finishes, crown molding, vaulted ceilings, hardwood floors, stainless appliances, sunroom, screened porch, indoor exercise pool, Master on main, soaring Great Room, arched doorways, 3-car garage on main and 1+ car garage/workshop on lower level. Level yard to double covered boat dock.